Stonecutters Bridge is a high level cable-stayed bridge spanning the Rambler Channel in Hong Kong, connecting Nam Wan Kok, Tsing Yi to Stonecutters Island. The bridge deck was completed on 7 April 2009, and opened to traffic on 20 December 2009. The bridge was the second-longest cable-stayed span in the world at the time of its completion. Construction commenced on 27 April 2004 by Maeda-Hitachi-Yokogawa-Hsin Chong JV (a joint venture of Maeda Corporation, Hitachi Zosen Corporation, Yokogawa Bridge Corporation, and Hsin Chong). It cost HK$2.76 billion. It was reported to be over budget. The bridge spans 1.6 km (0.99 mi), with 3 lanes in each direction. It is a cable-stayed bridge with two bridge towers, one on Tsing Yi Island and the other on Stonecutters Island. With a main span of 1,018 m (3,340 ft), Stonecutters Bridge has the third-longest cable-stayed span in the world, after the Sutong Bridge and Bridge to Russky Island. It was built at a cost of HK$2.76 billion. The design concept for the bridge was procured by Highways Department in Hong Kong through an international design competition. The winning scheme was the one presented by a group consisting of bridge architect Dissing+Weitling together with engineering firms Halcrow Group, Flint & Neill and Shanghai Municipal Engineering Design Institute. The design was selected as the Reference Scheme for the further design development. A group led by Arup with COWI A/S as main sub-consultant has carried out the further design development of the Reference Scheme and the detailed design that followed. The concept was for a cable-stayed bridge with a twin aerodynamic deck suspended from two 295m-high single pole towers. These towers have bases measuring 24m x 18m tapering to 7m diameter at the top, and the deck allows a navigation clearance of 73.5m over the full entrance to the Container Port. The two towers are in concrete until level +175m and in composite construction consisting of an inner concrete ring with a stainless steel skin for the top 120m. The original concept had a conventional steel structure above level +175m but Arup found that this configuration would be too lively and lead to unacceptable vibrations of the stay cables. Using a heavier composite section instead of a pure steel structure solved this problem. For reasons of durability and to enhance the appearance, further studies concluded that the tower skin should be fabricated from a duplex stainless steel (grade 1.4462 to BSEN10088) with a shot peened surface finish. The deck itself is made of steel in the main span and of concrete in the side spans. The tower foundations are located within 10m of the seawall on either side of the Rambler Channel, close to the back-up land next to CT8 and CT9. Their proximity to the channel necessitated ship impact testing and modelling. Geotechnical centrifuge testing was conducted using a 1:200 scale model of a vessel bow section and seawall within a container. The Hong Kong region is susceptible to very strong typhoon winds, a fact that was taken into account in the design of the bridge. In October 2002 a 50 m (160 ft) mast was erected at the site to measure the speed, direction and turbulence of winds in the area. Readings, which continued until January 2004, were transmitted in real-time to an offsite location for further analysis. In particular, the stability of the 509 m (1,670 ft) long cantilevers during construction required special consideration in the design. Prior to its formal commissioning, a Community Chest Walk for Millions was held 15 November 2009 to allow the public to walk along Stonecutters Bridge and East Tsing Yi Viaduct and through Nam Wan Tunnel. Over 30,000 participants took part, raising more than HK$10 million for the charity's Children and Youth Services. As a result of the interesting challenges and extreme difficulty in constructing this bridge, the project was featured on two of the Discovery Channel's Extreme Engineering series on 1 November 2006 and 27 April 2009. ^ "Stonecutters Bridge deck completed". News.gov.hk. 7 April 2009. Archived from the original on 14 June 2009. Retrieved 10 July 2010. ^ "香港昂船洲大橋12月通車 為全球第二長斜拉橋 – 大陸頻道 – 北美新浪". Dailynews.sina.com. 23 October 2009. Retrieved 10 July 2010. ^ "A Bridge too Near?". Asia Sentinel. 2 July 2010. Retrieved 10 July 2010. 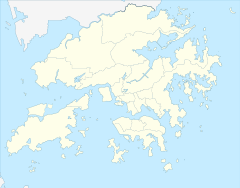 ^ "The Community Chest of Hong Kong – Press Room". Commchest.org. 15 November 2009. Archived from the original on 25 July 2011. Retrieved 10 July 2010. This page was last edited on 9 September 2018, at 19:52 (UTC).